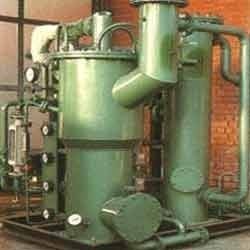 AVS Engineering Co, is recognized among the noteworthy, Manufacturers, Exporters and Suppliers of a broad assortment of Industrial Machinery and Inert Gas Generator like Endo Gas Generator, Exo Gas Generator, Methanol Inert Gas Generator. 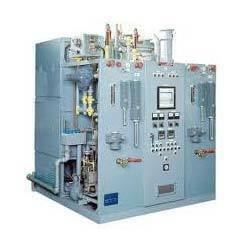 PSA Nitrogen Methanol Inert Gas Generator. 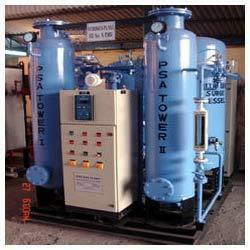 Nitrogen gas of 99.5% purity from cylinders or from a captive PSA-Nitrogen generator is used. Methanol should be free from moisture for getting low dew point in your furnace. we supply "Nitrogen + Methanol" system on turn-key basis. Generation for nitrogen gas, we Supply A Generator PSA nitrogen and methanol feeding for A we provide feed Tank methanol, methanol methanol Flow Meter and A vaporizer inline. Endo Gas (endothermic gas) Generators Produce Endothermic Gas (mixer or CO, CO2, N2 and H2) by reaction of air and fuel nickel Catalysts at 1050°C temperature. Endothermic Process requires external heat which is provided by electrical Heater of fuel burning around the retort. Retort is made of heat résistance alloy suitable for 1050°C temperature. Due to Cracking of fuel, some Carbon Deposit on Catalysts, which is burnt –off every 15 days running by regeneration process which regains Catalyst Activity? EXO- Gas Generators produces protective atmosphere for Heat Treatment Furnace. Lean Exo- Gas or Rich- Gas is produced simply by charging the air to fuel ratio in burner. These Gas Generators are fitted with a specially designed Swirl flame burner which give soot combustion and oxygen Free Exo-Gas even under sub-stoichiometric condition. Burner is ignited by spark plug and flame is continuously monitored by UV - Flame scanner. Fuel supply to burner stops automatically and Gas Generators Shuts down safety givening audio-visual alarm due to any problem like – low combustion air pressure , flame failure, low – water, or low fuel Pressure. The following fuels can be used in these Exo Gas Generators.